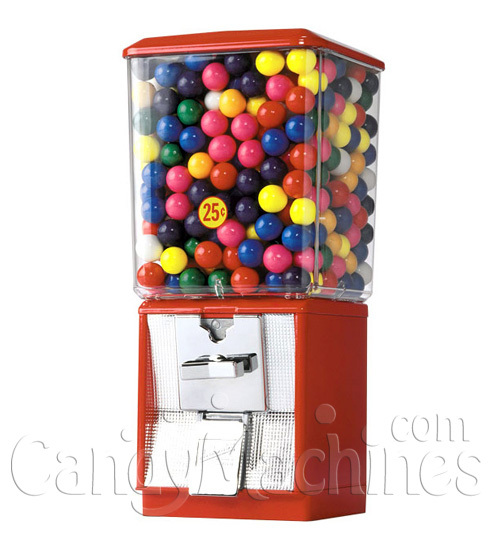 Vending possibilities include… gum, candy, small 1&quot capsules, 1&quot gumballs, 1&quot jawbreakers, 1&quot superballs, nuts, trail mix, animal feed, 40mm ping pong balls and more! Northwestern 60 Machine - Known as the best selling bulk vending machine of all time, the 60 Series has played an integral role in the evolution of the Bulk Vending Industry. The tool of choice for many of the world’s most successful operators, the 60 Series’ combination of good looks, reasonable pricing and rugged functionality never goes out of style. Availiable as machine head only (great for home or business use), single head with stand, or two machine heads on a double stand. from massachusettes Great product made in the U.S.A.